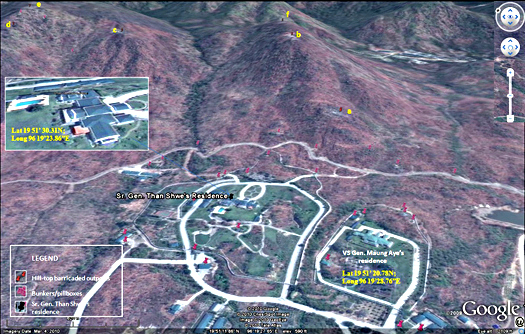 Snr-Gen Than Shwe seems to have learned some lessons from other dictators who ignore the welfare of their people, he has built a fine bunker close to his home! When NZ and Japan were struck by earthquakes recently each country welcomed International search and rescue teams to help hard-pressed local teams. However, the junta once again prioritized internal security above the lives of its own downtrodden population while stubbornly refusing to request any direct international humanitarian assistance. This repeated self-centric slow disaster management was compounded by the lack of any rescue expertize or equipment. Although the junta eventually accepted material support from the international community, the generals remained reluctant to invite in foreign rescue teams with well-equipped experts. They seem to think it would be a national humiliation, and chose to let the people suffer more and die merely to save face. But even if such deplorable motives for the refusal of international aid comes as no surprise, it does nothing to explain why domestic efforts were similarly thwarted. Local civic groups and Burmese volunteers who—individually or in groups—rushed to the disaster areas to provide victims with assistance were turned away. These military rulers really seem to be men without heart or soul. This little glimpse of real people enjoying real lives is so encouraging. They love God and they love each other, and they love to sing. Remembering that many of the young people have been in the camp as long as they can remember is so sad. Realising how little most of the world cares that their country’s “government” seems determined to commit ethnic cleansing of the tribal minorities is even sadder. Today is (or will be, or was, depending on where you live and how you live days of prayer) the Global Day of Prayer for Burma. The timing is not bad, tomorrow the significant United Nations Human Rights Council, questions the Special Rapporteur on the situation of human rights in “Myanmar”. It is high time the nations of the world united to condemn clearly and unequivocally the “widespread and systematic human rights violations” in the country. The situation is well-known, if little talked about. The Junta refuses to accept, let alone follow recommendations from the international community to improve this situation. The government rejected a massive total of 70 recommendations made during the UPR session, which urged Burma, among other things, to release political prisoners; to repeal national legislation that grants impunity to state officials for human rights violations or penalises peaceful dissent; to end discrimination against ethnic minorities; to investigate and punish cases of intimidation, torture and enforced disappearance; to allow the International Committee of the Red Cross access to detention facilities; and to reform the judiciary to ensure its independence and impartiality. Burma’s negative response to these recommendations starkly illustrated the government’s absence of political will to acknowledge its serious human rights failings, and strongly suggested its unwillingness to provide effective redress for human rights violations. amend or repeal all legislation which fails to meet international human rights standards, including the 1982 Law on Citizenship, which denies the Rohingyas the right to citizenship. advance the Special Rapporteur’s previous recommendation that an international Commission of Inquiry be established to investigate credible allegations of grave international crimes in Burma. So, if you are the praying sort, pray that either the UN will find it’s backbone, and the delegates will learn to empathise with the people of Burma, or that in some other way God intervene so that this sad country can live in peace and with justice! Of course, we don’t stop praying for the people of Japan, and a dozen other places where sadness reigns because of natural catastrophe, and human sin. But equally praying for them ought not to excuse us from sparing a moment today (or tomorrow) for the Global Day of Prayer for Burma! Thailand’s Foreign Trade Department estimated in October last year that around $US3 million was being lost each day due to the closure of the bridge, the main land-crossing between the two countries. In 2009 trade through Mae Sot was worth about $US860 million, nearly a quarter of the total annual bilateral trade. Perhaps as a result of the bridge’s closure, as well as attempts by Thailand to curry favour with the junta in return for winning lucrative investment contracts, Thai policy toward refugees has become stricter, and some 10,000 Karen who fled earlier this year have been forced to find shelter in makeshift camps along the river, with little access to food and healthcare. Meanwhile the military on both sides of the river profit, more bribes. Big ones for the important soldiers, who can help with smuggling the significant loads, small ones for the average grunt, but a nice addition to the family budget. The bridge could stay closed as long as the two governments are controled by the military. The UN can act fast when civilians are attacked in Libya, close to Europe and so “visible”, but continues to do nothing about persistent attacks on civilians in Burma (Myanmar). Such double standards are unjust. So I’m writing to our foreign minister Murray McCully. If you are a Kiwi you could also write to him, there is a convenient form at the bottom right of his parliamentary webpage. Brits seem to use a rather impersonal “feedback form” for all “enquiries and questions regarding the UK’s foreign policy”, this is also the approach in the USA. Hopefully if you are of other nationalities you are smart enough to Google “contact foreign minister” or some such phrase, but please do consider writing! I am writing because it seems to me that The United Nations operates a system of double standards. When in North Africa (close to Europe as so “visible”) a military dictator begins attacking civilians the UN Secretary General, Ban Ki-moon and Security Council reacted quickly to Colonel Gaddafi’s attacks on Libyan civilians. The Security Council passed a unanimous resolution demanding an end to the attacks, imposed sanctions, and refered Libya to the International Criminal Court (ICC). 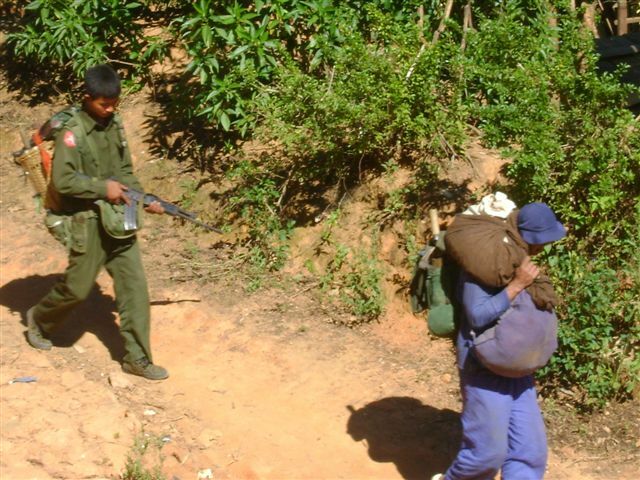 In Burma ethnic minority civilians have been attacked by the state for decades. The largest of these groups has sent a petition to the UN with nearly 84,000 signatures. The Karen National Union (KNU), the largest political organisation representing the Karen people of Burma, organised this petition at the request of the Karen civilians. We are asking UN Secretary General Ban Ki-moon to take effective action to immediately stop the Burmese regime’s military operations and human rights violations in Karen areas. This petition is supported by KNU branches and Karen communities around the world. The petition was signed by 83,950 Karen civilians from Burma, aged from 16 to 103 years, who are victims and survivors of military attacks and human rights abuses by the Burmese army. Is NZ supporting this appeal? If so how? If not why not? This is “democracy” by the military producing government of the people by the military and for the military.